For most students, summer is marked by internships, research and other responsibilities that come with preparing to enter adulthood. However, many Wake Forest students were able to take a break from their work to enjoy some of the nation’s best music festivals. Here are three of the top concerts attended by students during the break. 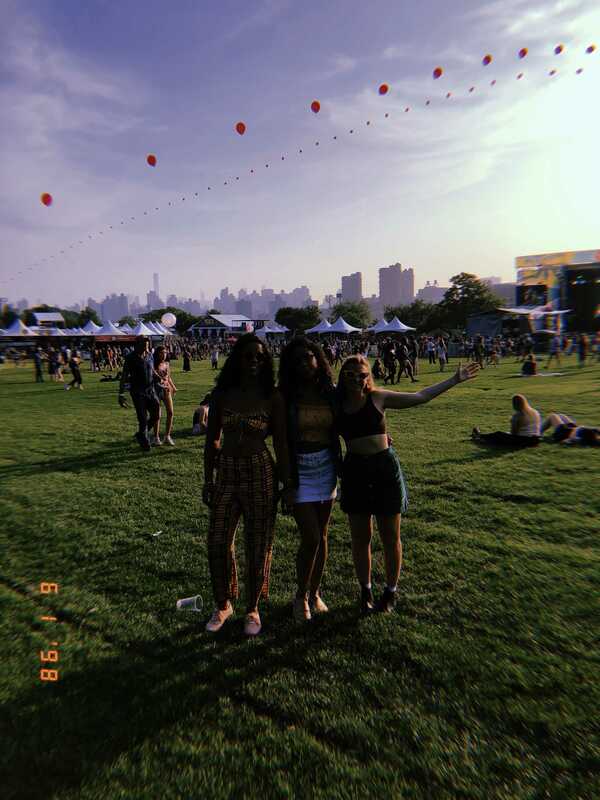 Thousands of people flooded into Randall’s Island Park from June 1 to 3 to enjoy the Governors Ball, New York City’s (NYC) premier music festival. Boasting an impressive lineup, the headlining acts included Shawn Mendes, Travis Scott, Halsey, Eminem and Chvrches. The event was also home to 60 different food vendors, including Big Mozz, Taiyaki NYC and the Ramen Burger. With an average of 20 performances a day and four stages, concert goers had to pick and choose which artists they could fit in their schedule. Although the day did build up to the most famous performers, multiple up-and-coming musicians were able to show off their skills. For instance, Berhana, whose music blends R&B and tropical beats, was slated for early in the day on Sunday. Similarly, artists like Amine, Kali Uchis and Alvvays were able to conjure up large crowds for their shows in the afternoon. Although she only attended the festival on Friday, sophomore Kaya West-Uzoigwe said she enjoyed seeing so many bands in New York City. However, she mostly attended with the hopes of seeing Post Malone live for the first time. While many of the performers represented current popular music, the festival also brought back many legendary artists to the stage. For instance, Jack White from The White Stripes headlined alongside the Yeah Yeah Yeahs. Unlike the Governors Ball, Firefly Music Festival spans four days and offers attendees the option to camp onsite. Always located in Dover, DE, the concert took place from June 14 to 17. The main acts included Eminem, Kendrick Lamar, Arctic Monkeys and The Killers. Unlike the Governors Ball, there was also an impressive amount of smaller bands such as The Aces and Southern Avenue. Sophomore Justin Neuberger was able to attend the concert with friends from high school. After road tripping, they set up a tent among the thousands of campers in The Woodlands. “Camping at Firefly is great. You get a spot to park your car along with enough of an area to set up a tent. It makes getting to the festival so much easier, since it is only a short distance away from the camping area. It’s also great because you can hang out and not have to worry about leaving enough time to get to the festival,” Neuberger said. Neuberger said that Kendrick Lamar and and Alt-J gave great performances, but his favorite two had to be Foster the People and Martin Garrix. “Foster the People’s performance had a punk-rock feel to it. The band sounded as good as they did on its albums and brought a lot of energy to the stage. Martin Garrix had a thrilling performance. His set was one of the few sets that I stayed the entire time for. Throughout the performance, fireworks were launched. He played his hits, but he also threw in a bunch of remixes that I had not heard before his set,” Neuberger said. Although less central than the Governors Ball, Firefly is an immersive music festival experience that is definitely worth trip. Taking place in Chicago from Aug. 2 to 5, Lollapalooza marks the peak of summer time. With vacation in full swing, the four-day music festival is filled with notable artists such as The Weeknd, Bruno Mars, The National and Odesza. Most notably, Vampire Weekend, which has not gone on tour in years, and Arctic Monkeys, which released their first album since 2013, headlined the show. “[Lollapalooza] was a really great experience despite being 97 degrees and sunny. Just being a part of something so large and celebrating all types of music was really amazing. I went with my sister and it brought us together with so many cool people,” said senior Haley Silverman. The lineup also included artists such as Camila Cabello, Walk the Moon, Tyler, The Creator and Lil Uzi Vert. Olivia is a sophomore from Miami, Florida and plans on majoring in politics & international affairs and minoring in journalism. In her spare time, you can find her cooking, taking pictures of her friends or marathoning The Office for the millionth time.